PREMIUM QUALITY Made of high quality medical grade plastic. Strong straps. Provide strong support and maximum comfort. ADJUSTABLE DESIGNOne size fits most, we have left or right hand available, please choose correct hand before order. 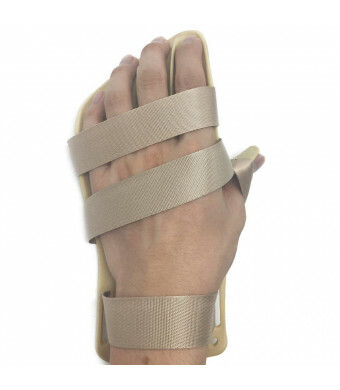 MAIN FUNCTION Prevent finger flexion convulsion, deformation and deformity to promote blood microcirculation. Magnetic therapy to help ease pain and reduce swelling. Control the increase of muscle tension and the muscles below the thumb atrophy. 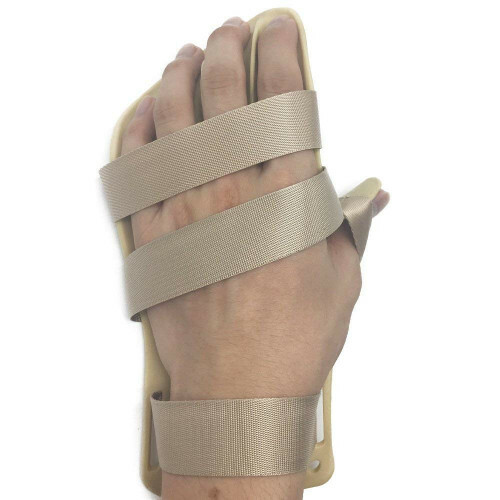 Combine finger training board and shoulder support to prevent edema caused by prolonged hand drooping and make it more comfortable to wear. TARGET PEOPLECerebral palsy, paraplegia, cerebral infarction sequela, all kinds patients with hand dysfunction, limb abnormal tension and brain injury. GUARANTEEPut your worries aside! If you don't like it for any reason, you can just take advantage of our 60 days' warranty. We will replace it or give your money back for any reason. Go ahead. Free size, there are right and left hand available, please choose the right hand before order. Suitable crowd: Brain injury, cerebral palsy, paraplegia, cerebral infarction sequela, all kinds of craniocerebral surgery and Parkinson's disease and peripheral neuropathy caused by hand function disorder. Muscle tension, limb abnormal tension and brain injury patients. One size fits most, we have left or right hand available, please choose correct hand before order. There are 2 small magnets on the finger plate. If you have other medical devices, please pay attention to safe use.